Follow Agent 8 on a journey to Inkopolis. Following its announcement at E3 2018, Nintendo has officially released the latest DLC expansion for Splatoon 2, the Octo Expansion. The Octo Expansion is a single-player DLC experience added to Splatoon 2 that features a host of new content in addition to building upon the existing lore of the Splatoon universe. 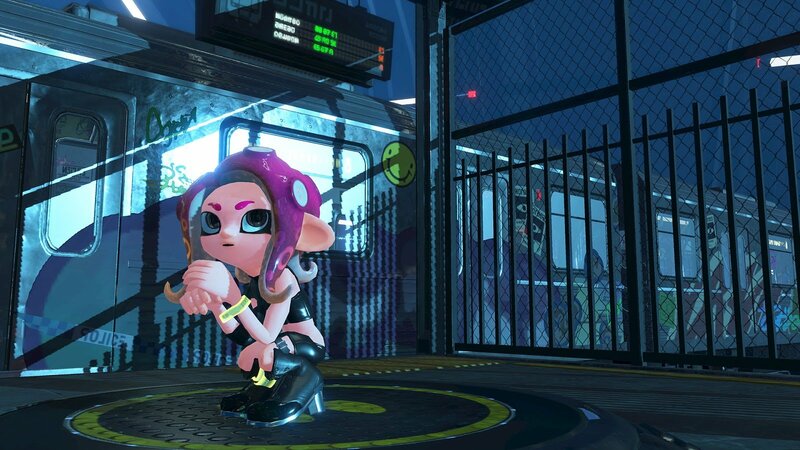 In the Octo Expansion, you play as a character named Agent 8 who finds themselves on a dark subway platform. Little other information is given. As you progress through the expansion, you later uncover a test facility underground. There, you’ll work to complete over 80 new single-player missions in order to finally reach the surface of Inkopolis. Unlock Octolings (Girl or Boy) as playable characters in multiplayer battles. Unlock more than 10 new pieces of in-game gear. Access to octo-themed gear (Studio Octophones, Octo Layered LS). The Octo Expansion is the first single-player update to release in Splatoon 2. It’s definitely a fun experience and story, and it features other benefits that make its purchase price worthwhile. The Octo Expansion is now available in Splatoon 2 for $19.99 on the Switch eShop. Have you picked up the DLC? If so, what do you think of it so far? Let us know down in the comments below!